Moms have got to be some of the hardest people to buy gifts for. We want to find the perfect gift for the woman who brought us into this world and helped shape us into the person we are today. No matter how old we get, our moms will still love anything we buy for them because they know we put a lot of thought into it. We’ve got a few ideas for all the moms out there. There’s the crafty mom, the homemaker, the outdoorsy woman and the stylish lady. Admit it, you love nothing more than shopping online. Mostly because you can do it while parked on your couch, drinking a hot cup of tea after the kids are in bed. No midnight mall madness, no crazy parking lots and less stress. Well it’s your lucky day! Everything in this guide can be purchased online and delivered right to your front door. 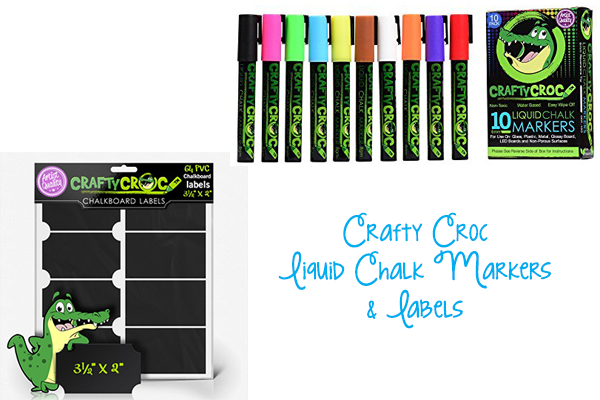 For the mom who loves to craft, CraftyCroc Liquid Chalk Markers are a delight. I’ve used a few types of window markers and I really enjoyed working with these. They are so easy to use and they go on wonderfully. 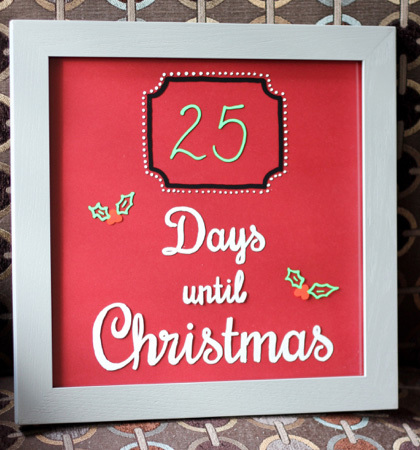 I used them to make a Countdown to Christmas sign – this is the first time I have ever made a sign like this and I didn’t even have to erase anything and start over! That’s how smoothly these markers work. CraftyCroc also makes chalkboard labels so that you can customize anything and everything in your home. Mom will love organizing her kitchen with these labels or finally organizing her craft room! These markers come in so many different colours and can be purchased directly at an awesome price from Amazon. Another awesome feature is that the tips are reversible – mom can use either a rounded or a chisel tip. 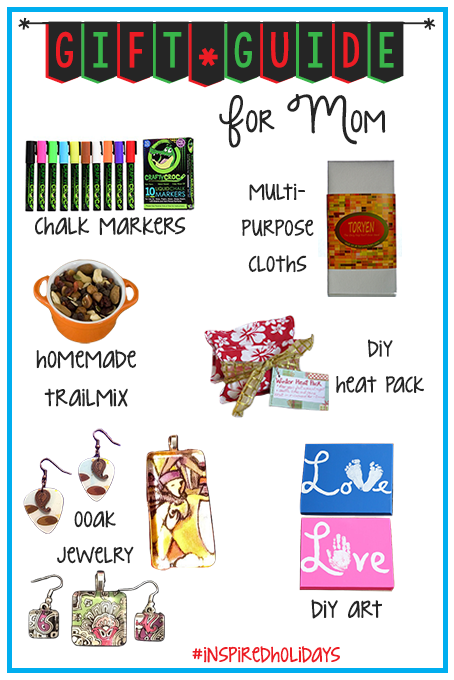 Send mom on over to their Facebook page for inspiration on ways to use the chalk markers. There’s even more ideas via their Pinterest page and Twitter account. She’s guaranteed to fall in love with these markers and CraftyCroc frequently runs contests to win even more! These are a fantastic addition to any crafter’s collection and I know your mom will love them as much as this mom does! For the fashionista mom, be sure to check out Starved Raccoon on Etsy. 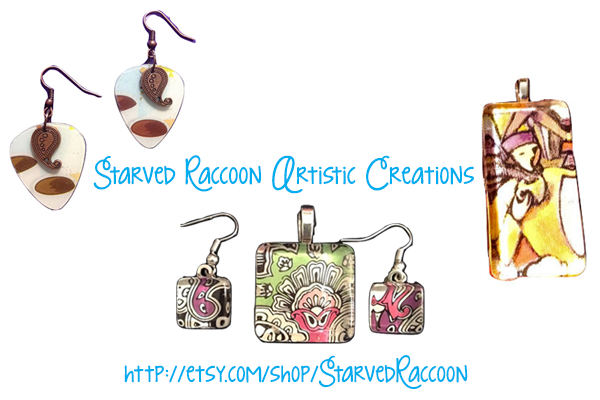 Joy, the designer, creator and Head Raccoon is passionate about her collection of jewelry and it shows. Joy likes to create “fun and whimsical items from discarded/found objects and interesting relics.” All of the products are upcycled and repurposed. You will find earrings, keychains, pendants and other gifts. Prices start at $4.00. Shipping in the US starts at just $3.00. There is such a wide range of jewelry to choose from that you’re guaranteed to find something your mom will adore. 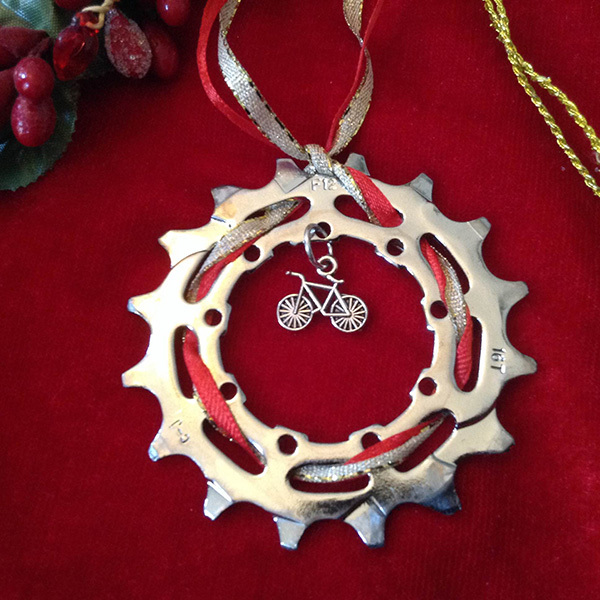 Just in time for Cyber Monday, Starved Raccoon with have this whimsical bike gear ornament available. There are other items available as well for the cyclist mom. There are a lot of options at Starved Raccoon for the coffee lover, the cyclist, the shabby chic mom and the all-things-retro lover. Stop by her shop today, you won’t regret it! 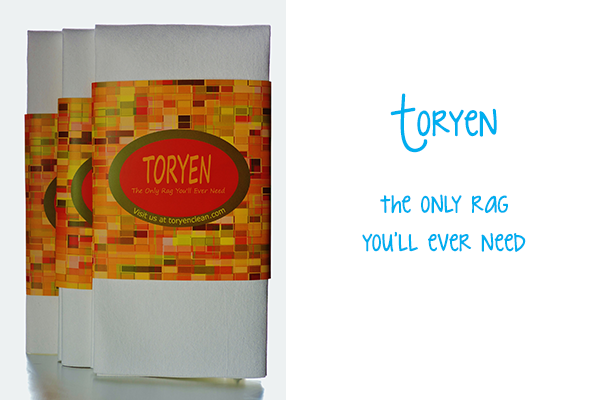 Toryen cloths are multi-purpose – seriously! These rags really do clean everything. If your mom has a bunch of stainless appliances, she will love this rag. If she loves to keep an impeccable home, this rag will simplify her cleaning. She can use only water or use her favourite cleaning products. Toss ’em in the washer, toss ’em in the dryer, these rags can take a beating. If your mom is a little bit old-school like my grandma, she may love bleaching things. These cloths can handle that too! I’m a mom, I have two tiny humans and a kitchen full of stainless appliances. 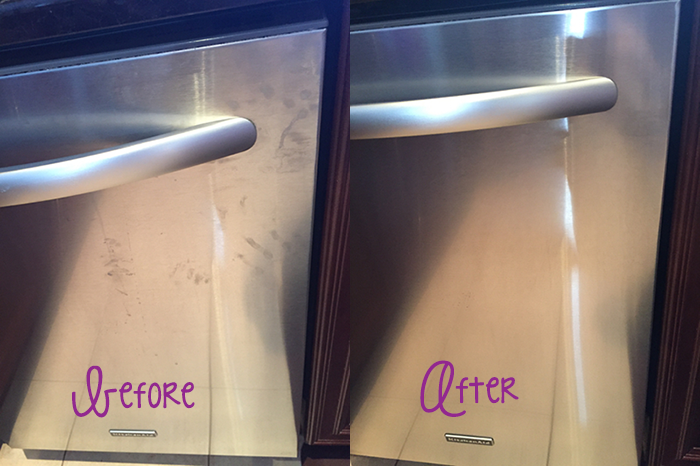 Truth be told, I rarely clean off the tiny handprints because I don’t feel like pulling out the stainless cleaner, wiping them down, then getting out a rag to wipe away the cleaner and then the streaks then put away everything. I pulled the Toryen cloth out of the package, ran it under the tap, squeezed out the excess and wiped off the dishwasher. Voila – done! No streaks, no lint left behind. This cloth is a mom’s dream. Give them to your mom, your mom friends, your neighbour, give them to anyone who cleans! They will love you for it. These can be purchased directly from the Toryen website for under $10 each. They make a great stocking stuffer! You’ve been making gifts for your mom since you were just a wee little toddler, so why stop now? A handmade gift speaks volumes about the thought that went into it and it won’t go unnoticed. IT doesn’t matter how old you get, your mom will always love any gift that you make for her. So why not make something she will really love? Here’s a few ideas to get you started. For the outdoor-loving mom, make her a customized trail mix to take with her on her travels. This is also a great gift for the jet-setting mama. Trail mix is the ultimate snack. The protein from the nuts will give mom that much-needed boost of energy when hiking those trails (or walking a mile through the airport). Add a bit of dark chocolate for a bit of sweetness and a little sugar rush. Another bonus is that trail mix is very portable. This also makes for a great stocking stuffer. 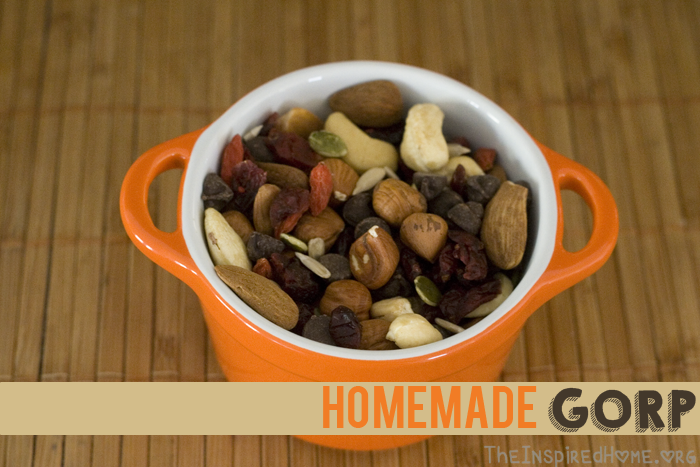 Check out Holly’s recipe to get some ideas for your mom’s custom-made trail mix. Toss it into a cute travel container or dress it up in a mason jar with some festive ribbon. After mom hikes those trails, munching on her delicious trail mix, she may be a little sore. Help her heal those tender muscles with this DIY Rice Heat Pack from Organized 31. They are also great to warm her toes if she’s been out trekking in the snow. These rice bags are quick and easy to assemble. Choose a fabric in mom’s favourite colour and whip up one of these little cuties in no time at all. Requiring nothing more than basic sewing skills, this is a wonderful gift that will look amazing. Mom will appreciate the thought and effort that went into creating a gift especially for her. These canvas art prints make a great gift for grandma. Using your little ones handprint or footprints, you can easily make this artwork for your mom. It takes nothing more than a few dollar store supplies to create these gorgeous displays. They can be customized to match her decor. 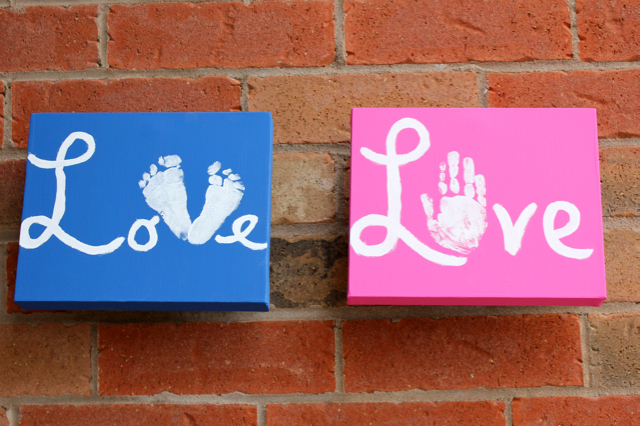 We chose pink and blue simply because my daughter loves the colour pink and she decided her little brother needed to have a blue canvas to feature his footprints. Send a little bit of love to grandma this Christmas. « Family Gift: Go Ahead, Get Messy! What thoughtful gift ideas. Thanks for including my DIY rice heat packs.